The blade is an older Krupp Steel Del Tin Viking from the 1990s. 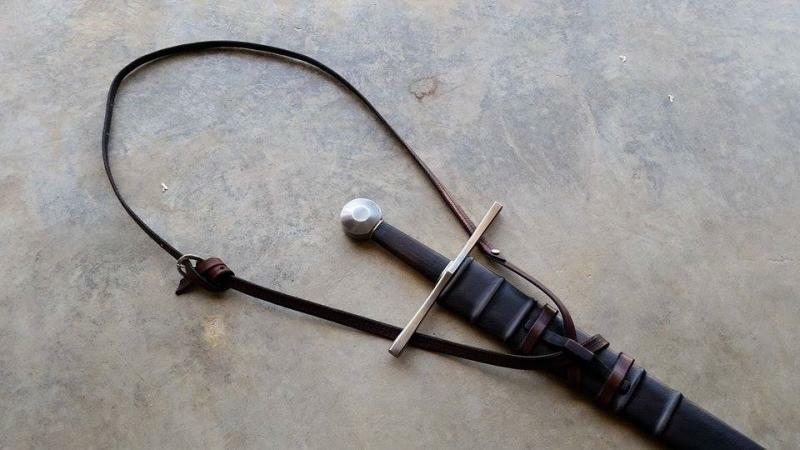 It has been re-hilted by Yeshua Sword, to include the mild steel Type I pommel and grip rings. 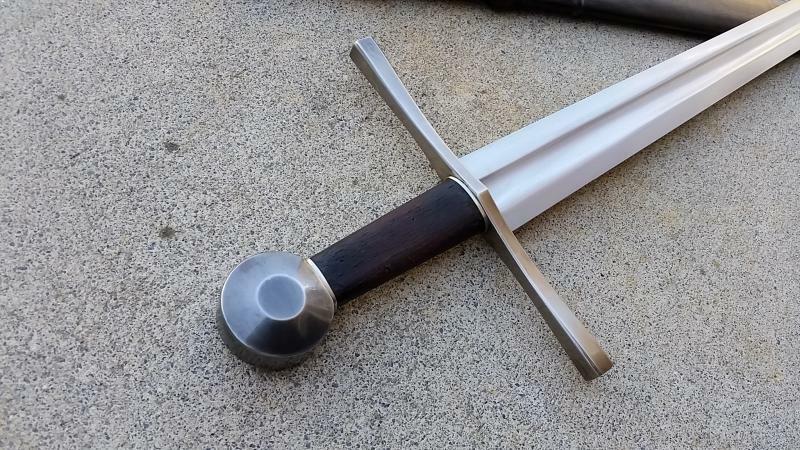 The Style 2 guard is a mild steel Museum Replicas one, specifically from their Robin Hood Sword. 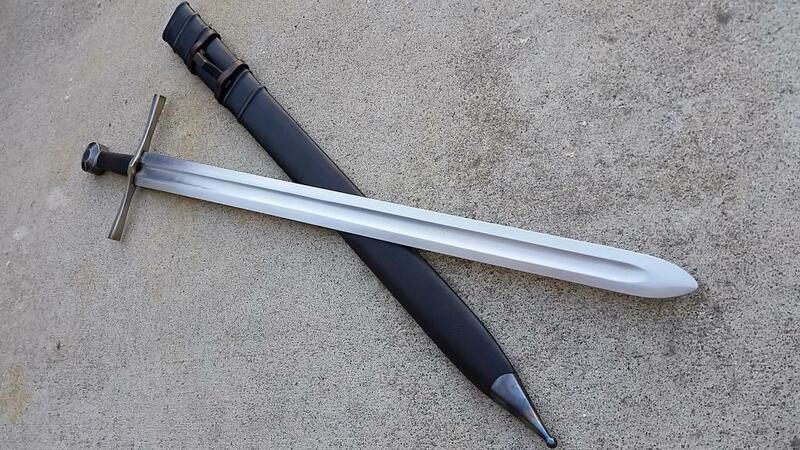 The assembly of this sword is extremely tight and durable, it rings like a church bell when stuck. 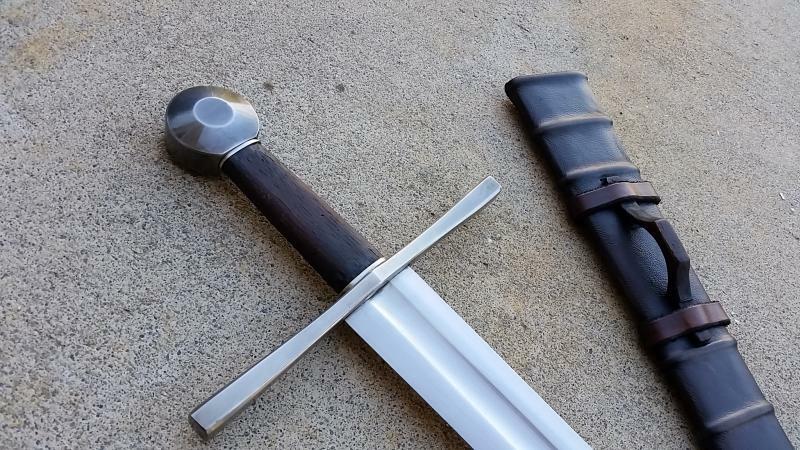 The guard and pommel have been given a light patina that contrasts well with the blade in sunlight. The grip is antique oak, which has been given a bit of wear to add to the 'used but cared for' look. There is a very slight bit of marking on the underside of the guard, but this simply adds to the antique flavor. The blade is butter knife sharp, but has not been sharpened further. 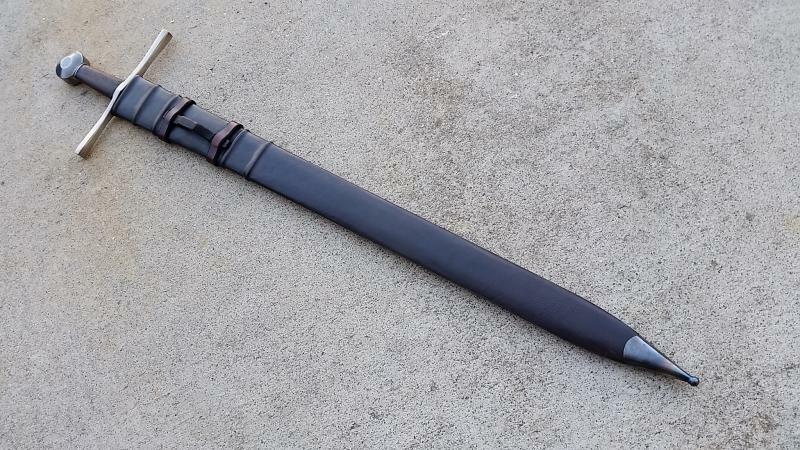 The scabbard is one of my own creation, with simple risers and an antique red oak strap bridge suspension. The scabbard has been lightly worn to show natural leather color under the black finish to complete the campaign worn look. The chape is mild steel and has been heat blued to match the theme. 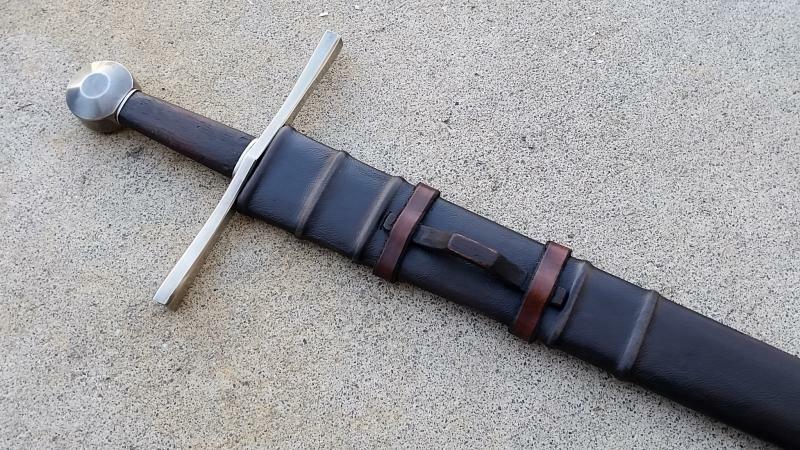 This scabbard is nice and tight as well, it holds the sword very well and can be easily held upside down and shaken, yet retain the blade (I demonstrate this on my Facebook page in a video). Blade Width @ Shoulders: 2.00"
Very well done...if I had a bit sitting in the toy fund I'd snap that up in an instant. Good luck finding its new home.